Quality professionals, supervisors, and managers. Variation is at the root of all quality problems. After all, if there was no variation, we would simply need to target our process on the ideal standard and everything we produce would come out exactly the same. But, that ideal world doesn’t exist. In reality every process has many variables such as time, temperature, tool wear and technique that affect the output of the process. So, a key goal in quality improvement is to reduce variation and the first step in doing that is to understand that variation in our processes. This courses is a primer in the statistics used for SPC (Statistical Process Control); topics covered include building and using a histogram to understand variation, patterns of variation, measures of variation (mean, range, standard deviation), the normal curve and process stability. Both graphical and mathematical techniques of measuring variation are covered. This course is a targeted training course and provides focused training on concepts of variation that serve as the foundation of control charts. 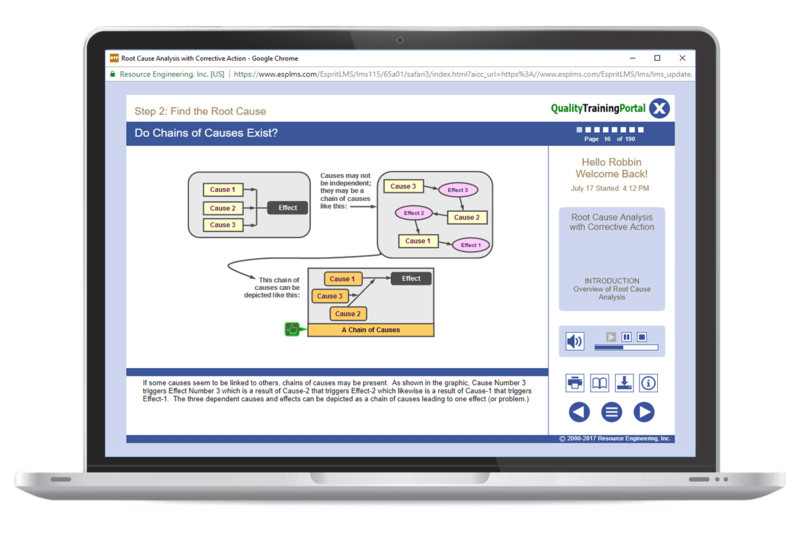 For comprehensive training on how to use control charts and their underlying principles, we recommend our Basic SPC online training. Explain what variation in a work process is and why it is bad. Describe key techniques for measuring variation – visual display and mathematical. Identify key patterns of variation and explain what causes them. Basic SPC – Comprehensive training in understanding and controlling variation using statistical process control and control charts. Advanced SPC – Comprehensive training in how to implement statistical process control including setting up control charts and conducting process capability studies. This course is a great way to quickly learn about variation and how it is measured. It is taken from our comprehensive Basic SPC course. If you have already taken that Basic SPC Training course, you have already seen the content in Understanding Variation. What variation is and why it’s a problem in manufacturing. Using a histogram to measure the variation in a process. Types of patterns of variation, what they tell you, and what to do about them. Statistical measures of variation: Mean, range, and standard deviation. Properties of the normal curve and the 68, 95, 99.7 rule. The importance of a stable process in manufacturing. An assessment of the learner’s progress in the course. Explain what variation in a work process is and why variation is a problem. What variation is and why it's a problem in manufacturing. An assessment of the learner's progress in the course. Describe key techniques for measuring variation - visual display and mathematical.